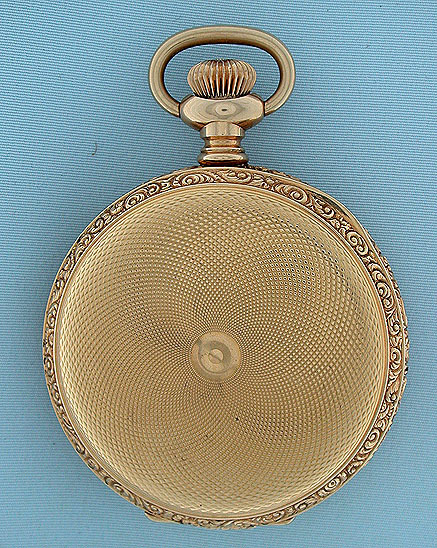 Fine 21 jewel Model 88 Waltham gold filled antique pocket watch with fancy dial circa 1895. 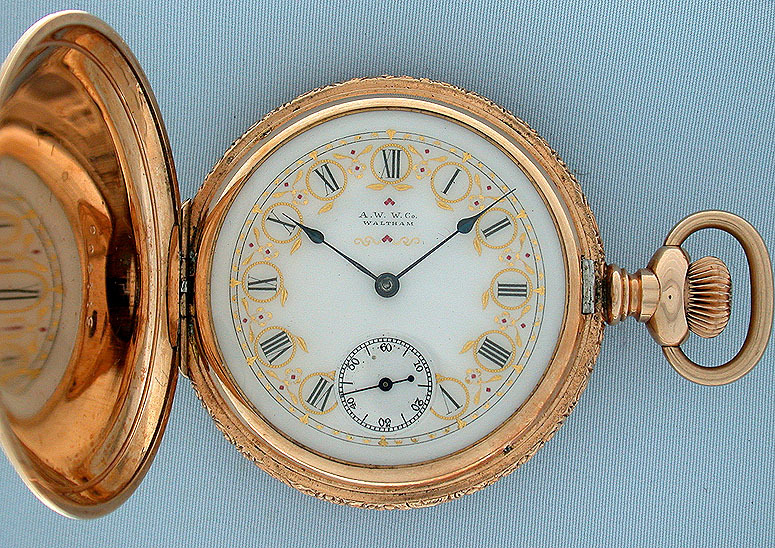 Engine turned case with fancy band and bezels, with original paper. 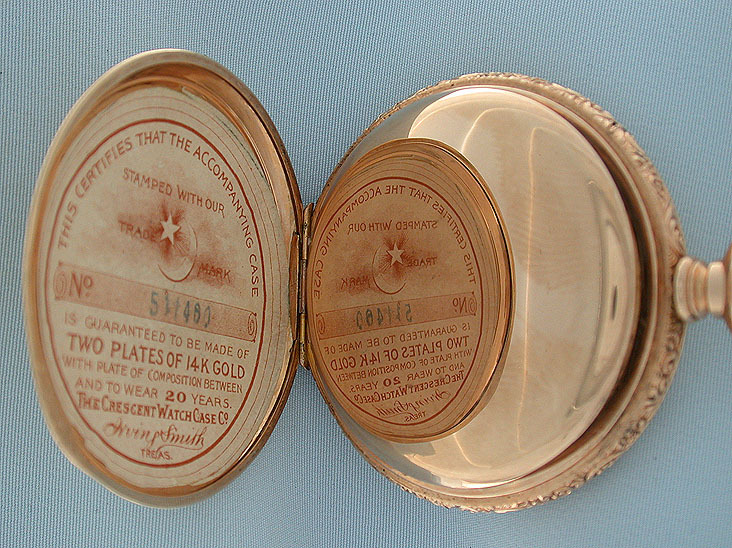 Sunk white enamel dial with fancy gold and red decorations. 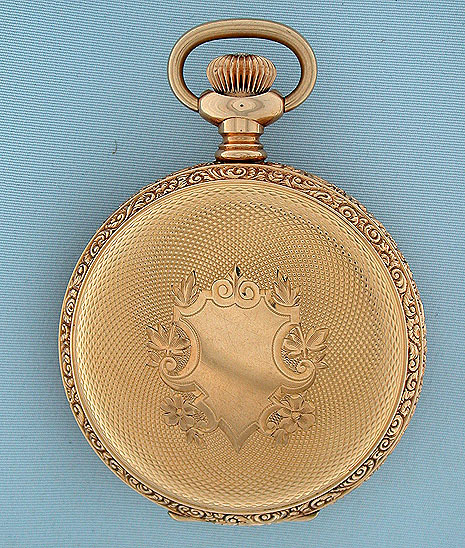 Well finished nickel 21 jewel adjusted movement with screwed gold jewel settings, gold wheels, gold escutcheons, and precision regulator. 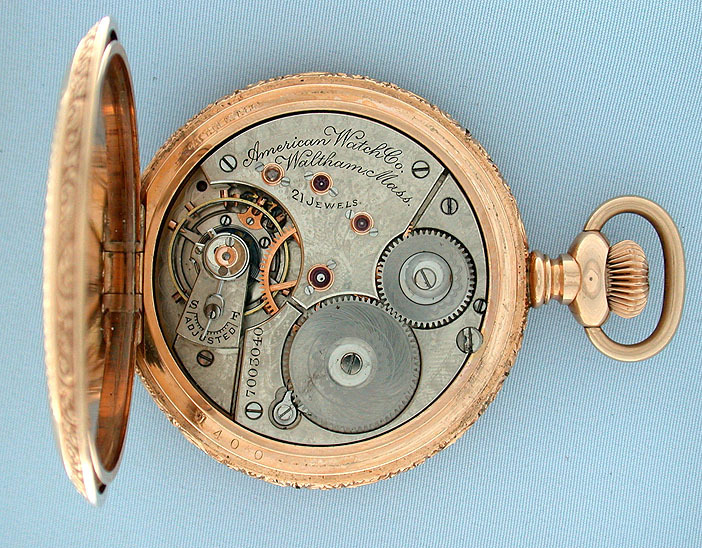 A particularly fine example of the highest jewel Model 88 Waltham made.